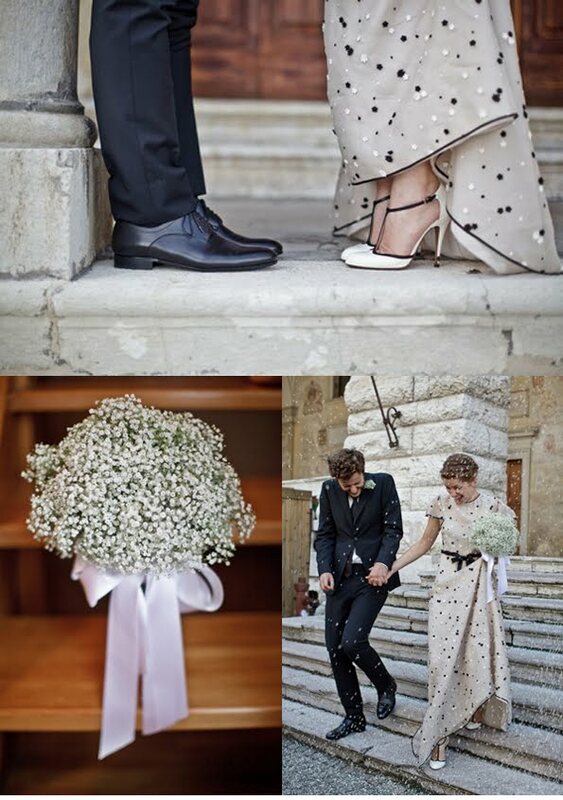 Speaking of sweet things this week: a beautifully simple dress and wedding in Italy (spotted on Chasing Heartbeats). This dress is GORGEOUS and AMAZING!! So different! I love it! Oh that dress is just stunning! And the shoes and the boquet and also the tailored jacket and trouser of the groom...i want to get married again!